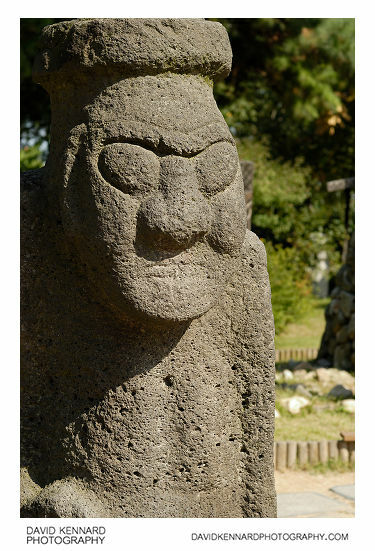 On Jeju island, to the south of Korea, they have stone statues known as Dol hareubangs, or 'Stone Grandfathers'. 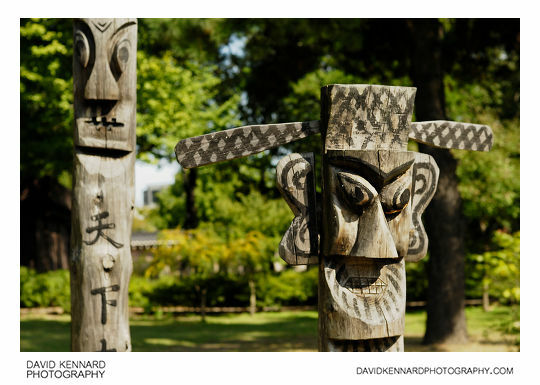 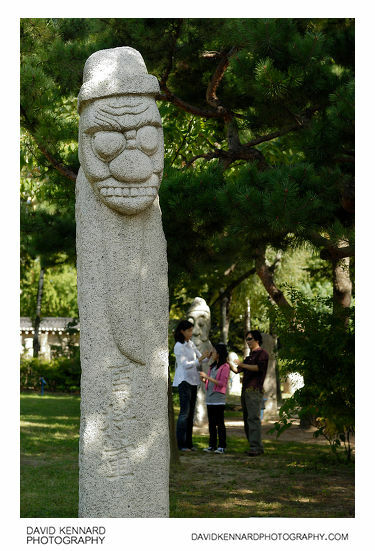 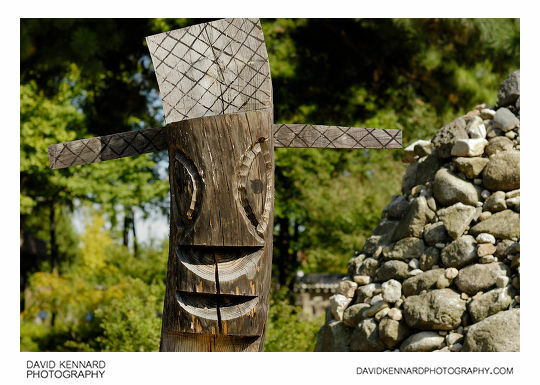 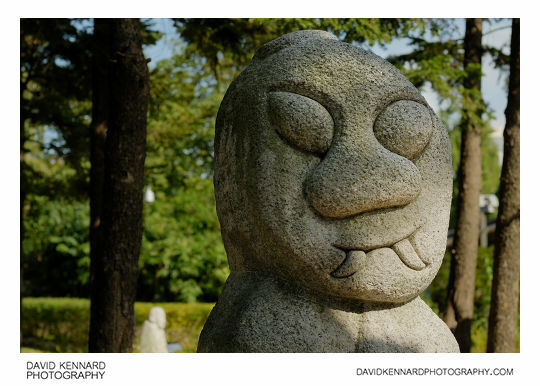 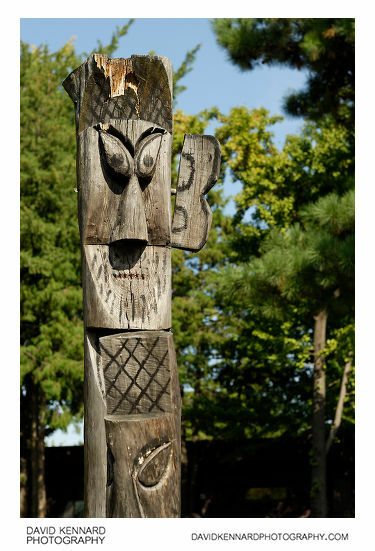 Similar to Jangseungs, Dol hareubangs feature carved faces, and would be used to scare away evil spirits. 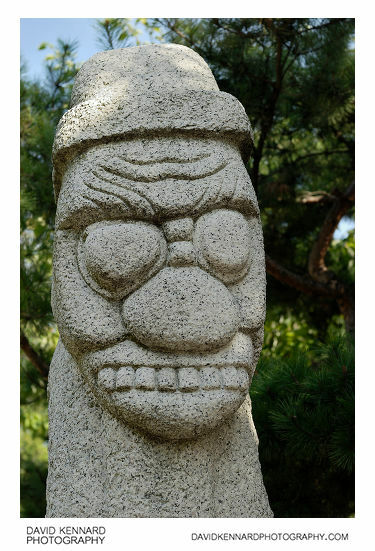 Unlike Jangseungs, they also feature a body and arms, and wear a hat resembling a mushroom.